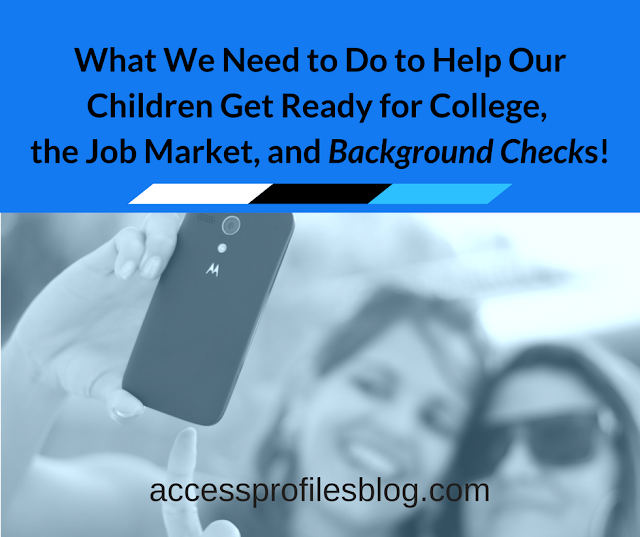 Are Your Children prepared for a College or Employment Background Check? We were recently asked by Phrantceena Halres of the Coach Tate Foundation to discuss this topic on their podcast “Empowered Family Talk ~ Background Checks, Private Investigations, & Child Safety, What You Must Know!”. The goal was to share with families what they need to know to help prepare their children for passing a background check in today’s world. The first, and most important, thing to realize is that Background Checks are a Reality! They are used to make employment decisions. They help determine whether you are eligible to rent an apartment, condo, or home. And background checks are even being used by colleges and universities as a criteria for acceptance! That is why it makes sense to know as much as possible about how you can help prepare your children for background checks now. This preparation needs to begin early ~ long before our children are even thinking about picking a school or getting a job or apartment. And the key to this preparation is knowing exactly what will be checked, why it is checked, and what can be found during your background check. 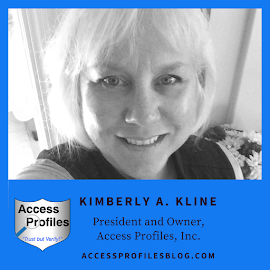 One Important thing You Should Know ~ Background checks are used to determine trustworthiness and reliability. Employers see them as a concrete way to verify the information you list on your application or resume. The thought is that if you lie, there is a good reason to question your honesty overall! 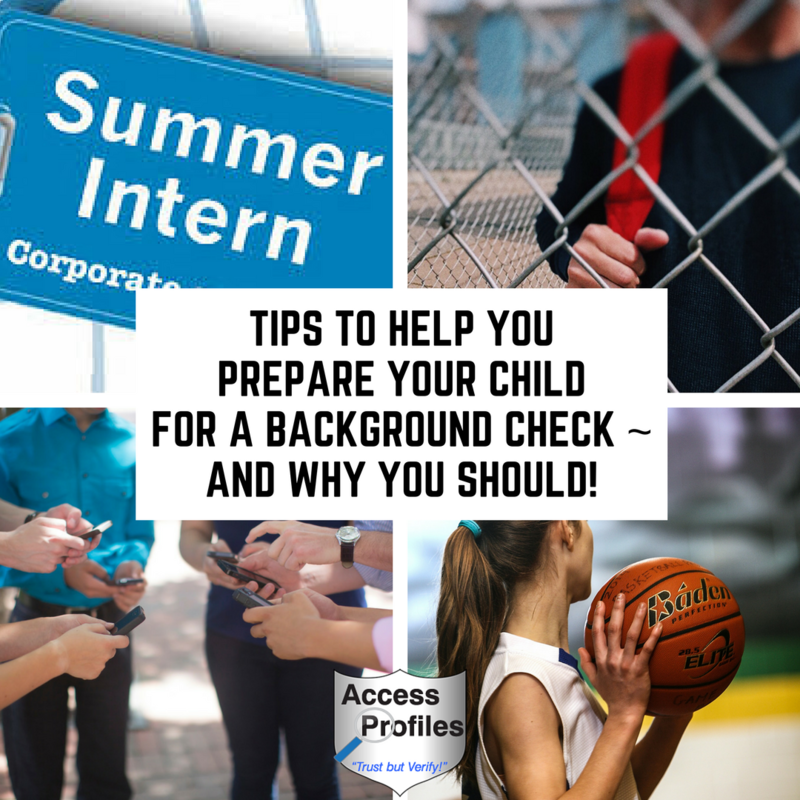 Because a background check is most likely in your child’s future, it also helps to know what those searches usually entail and “your takeaway” concerning each! Criminal Records ~ This can encompass local, county, state, and federal court records. It usually includes the courts anywhere the subject has lived and/or worked in the past 7 to 10 years. Be clear, having a criminal record makes getting into a good school or landing a good job harder than it has to be. You and your child must realize that having a criminal record comes with consequences. And remember ~ drug charges and DUIs are criminal offenses. Education Verification - This includes academic degrees / records, professional licenses or certifications, honors and awards. This information can be used by educational institutions to grant acceptance. It is also used by employers to verify the degree or graduation stated on an application or resume. Verifying that you have the degree or certification you claim is vital. Employers want to make sure you have the skills necessary to do the job. They also use it as a tool to verify that you are honest on your resume. Tip - When you graduate, make sure all your fees are paid or many institutions will not verify your degree when a potential employer calls! Employment Verification - This is used to verify your dates and title of each employment listed on your resume. Before your child applies for a job, make sure they know their start and end dates for any past employments listed, along with their exact job title. Make sure your resume matches this information exactly, especially since your potential employer is checking for honesty and attention to detail. It is also important to know exactly what previous employers / past supervisors will release to your potential new employer. Reference Verification - This can include both provided and developed references. Make sure you know exactly what they will say. Contact them in advance to let them know you listed them as a reference and to make sure they are willing to help. Be sure to get the correct spelling of their name, their job title, and a good contact number and email. The easier you make it to verify these references, the more quickly your background check will get completed. Driving Records - Jobs in transportation and those that use company cars will check a driving record. Employers are looking for a valid driver’s license and a pattern or excessive violations or revocations of driving privileges. Having any of these may be seen as a disregard for the law and paints you in a bad light. Credit Checks - Rental agents use this to determine if you can afford the apartment and that you have a history of paying your bills on time. Help your child establish good credit early. Make sure they have a checking and savings account, a credit card, and that any bills are paid on time. Civil Court Checks - Checks are done in county and federal courts to look for lawsuits and for any landlord/tenant disputes resulting in evictions. Parents, be sure to emphasize the responsibilities your child has when they are a renter. Make sure they understand the importance of paying the rent on time, keeping the apartment neat and clean, and treating the property with care. It is also important that they be a good neighbor and keep the noise down! Drug and Alcohol testing - There are employers who drug test to hire and even those who randomly test existing employees. Your child’s best bet is to be drug free. Employers have the right to expect a drug free and safe workplace, so it is important to be able to cleanly pass any drug test they require. Social Media checks - This type of check is becoming a more common part of many background checks. Companies and colleges will search online for both positive and negative posts that could have an impact on their admittance or employment decisions. You and your child should be aware that their social media posts will have an impact on how they are perceived. They can result in them being seen in either a positive or a negative light. Examples of posts that will be viewed as positive are ones that feature charity work, love of travel, participation in sports, clubs, and activities. Negative posts include posts that show excessive partying, illegal behavior, hate posts, violent posts, and negative posts on past employers. Students ~ Be careful what you post. Does it show you in the best light? is it something you want your parents or grandparent to see? If not, don’t post! Parents ~ Monitor your child’s online activities. Set a good example yourself by using your social media sites in a responsible way. Tips - You have rights when it comes to social media checks. For example, you should never be asked to give up a password or “friend” an admitting agent or employer to give them increased access to your sites. They are entitled to public information only. And once something is posted, it is virtually impossible to delete. Even “friend only” privacy settings only go so far. Background Checks are a reality in the world we live in, so your best bet is to understand this and make sure you and your child are prepared! By understanding what a background check entails, and what you and your child can do to get ready for it, you are ahead of the game. And if you really want to ease the anxiety that usually accompanies the idea of a background check, then do a background check on your child first! Check the things that a potential employer or college may check. Know exactly what information will be found and whether that information is accurate. Knowing this will give you a chance to correct misinformation and be ready to mitigate any negative information that may be found! The more you know and the better prepared you are, the less nervous you, and your child, will be about the background check. And a good background check company can help you do it right! Contact Us to answer your questions or for more information! Parents, it is important to do what you can to help make sure your children don’t get passed over for the job, apartment, or college they want. And being ready, well in advance, for the inevitable background check is the key! Good Luck! Learn more About Us and Our Background Investigation and Job Search, Business Mentoring, and Security Consulting services too!